Restoration projects that remove barriers to migration of the endangered southern steelhead trout. This list represents SCHR’s most recent projects additional past projects and projects that are currently in the planning phases are not included in this list. Bliss Fish Passage Restoration Project was a fish passage restoration project along Carpinteria Creek which removed a low-flow crossing from the stream channel which was a major barrier to upstream steelhead migration. After the removal of the low flow crossing the channel was regraded, a new vehicular bridge was installed to provide the property owners access to their residence and avocado orchard, and native vegetation was installed to improve riparian conditions at the site. 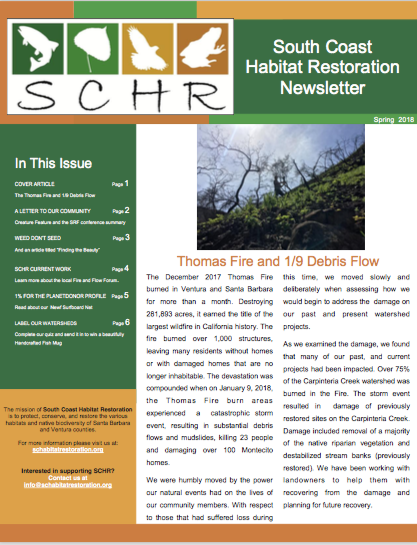 Raya Fish Passage Restoration Project was a fish passage restoration project along Gobernador Creek, the main tributary to Carpinteria Creek, which removed two low-flow crossings from the stream channel along a single private property. After the removal of the low flow crossing the channel was regraded, a new bridge was installed to provide the property owners access to their residence and avocado orchard, and native vegetation was installed to improve riparian cover at the site. Cate School Fish Passage Restoration Project was a fish passage restoration project along Carpinteria Creek which removed a low-flow crossing from the stream channel which was acting as a barrier to upstream steelhead migration. After the removal of the low flow crossing the channel was regraded, a new bridge was installed to provide access across the creek to the avocado orchard, and native vegetation was installed to improve riparian conditions at the site. The Lion Creek Steelhead Restoration Project involved the removal of a concrete stream crossing which impaired steelhead migration and the replacement of the crossing with an 85 foot railroad car bridge. The project aimed to improve steelhead access to approximately 9.5 miles of upstream habitat. 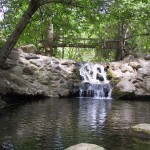 Lion Creek is a tributary to San Antonio Creek in the Ventura River Watershed. The project improved year round access to the working cattle ranch and avocado orchard. The Rancho Tajiguas Barrier Removal Project – Phase 1 involved the removal of five fish passage barriers and the installation of one new clear span bridge. 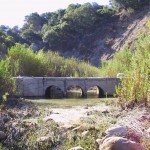 The crossings that were removed were constructed decades ago as part of the ranch agricultural operations and over time became barriers to steelhead migration. Removal of the barriers and replacement of the crossings with a single bridge significantly improved conditions for steelhead on the property. The Rancho Tajiguas Barrier Removal Project – Phase 2 involved the removal of two low flow crossings and the installation of two aluminium arched culverts. The crossings that were removed were constructed decades ago as part of the ranch agricultural operations and over time became barriers to steelhead migration. The crossings were removed and the stream channels regraded to provide fish passage through the project site. The Rancho Tajiguas Barrier Removal Project – Phase 3 involved the removal of two concrete structures that inhibited fish passge, a concrete diversion dam and a grade control structure. 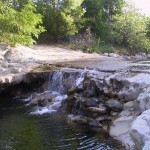 Both structures were removed and the stream channel regraded to provide fish passage through the project site. In addition three large pools and root-wad structures were installed to provide improved aquatic habitat. This project completes fish passage efforts in the watershed allowing access to the historic 6 miles of habitat in Tajiguas Creek. 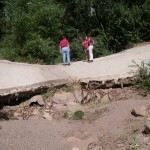 Upper Gobernador Canyon Barrier Removal Project was completed in 2011. 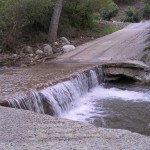 The fish passage restoration project along Gobernador Creek, removed the last major barrier to fish migration between the headwaters of Gobernador Creek and the Pacific Ocean. After the removal of the low flow crossing the channel was regraded, three rock and rootwad structures were installed to create pool rearing habitat for juvenile steelhead at the site. 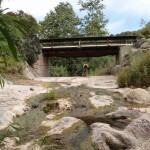 A new bridge was installed to provide the property owners access across the creek, and native re-vegetation efforts were done to restore the riparian cover at the site. The Pinkham Property Barrier Removal Project was completed in the Fall of 2013. 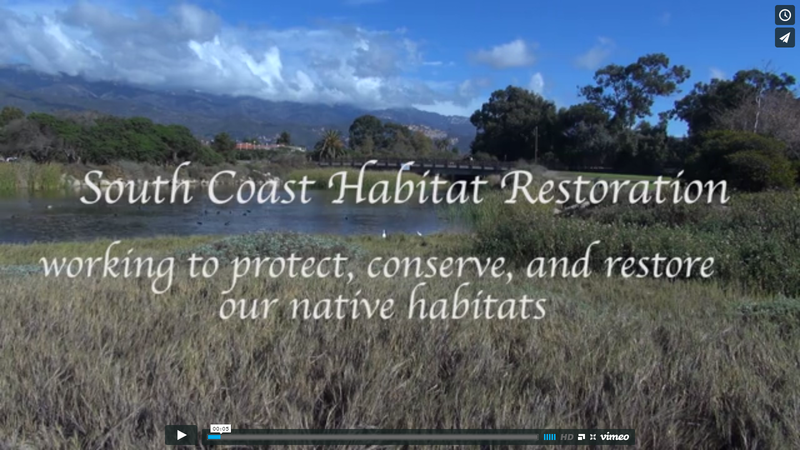 The fish passage restoration project along Carpinteria Creek, was one of the last barriers in the watershed. The project replaced an undersized rail car bridge with a new wider and taller bridge. It also removed 90 feet of concreted stream channel and banks and restore native riparian cover to the site. The project has improved access for the property owner to their residence and avocado orchard. The Maria Ygnacio Fish Passage Restoration Project was completed in the Winter of 2014. 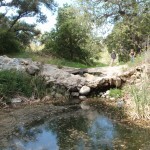 The project removed a concrete low flow crossing from a private ranch within the perennial portion of Maria Ygnacio Creek. The barrier was removed, the channel was regraded, two large pools with root-wad structures were installed, and a new clear span bridge was constructed to provide the property owners safe access across the creek.